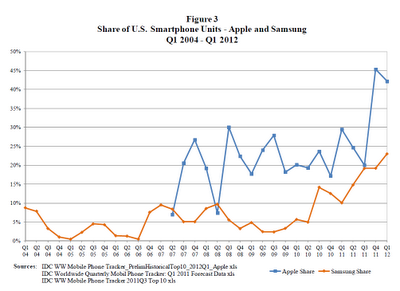 Today Apple filed its response to Samsung's appeal of the preliminary injunction against the Galaxy Nexus, and included two charts that show how Samsung's and Apple's smartphone market shares evolved in the U.S. market and on a worldwide basis between the first calendar quarter of 2004 and the first calendar quarter of 2012. These charts are based on IDC data. And Apple didn't even include any estimates by other analysts according to which Samsung sold twice as many smartphones as Apple in the last calendar quarter. 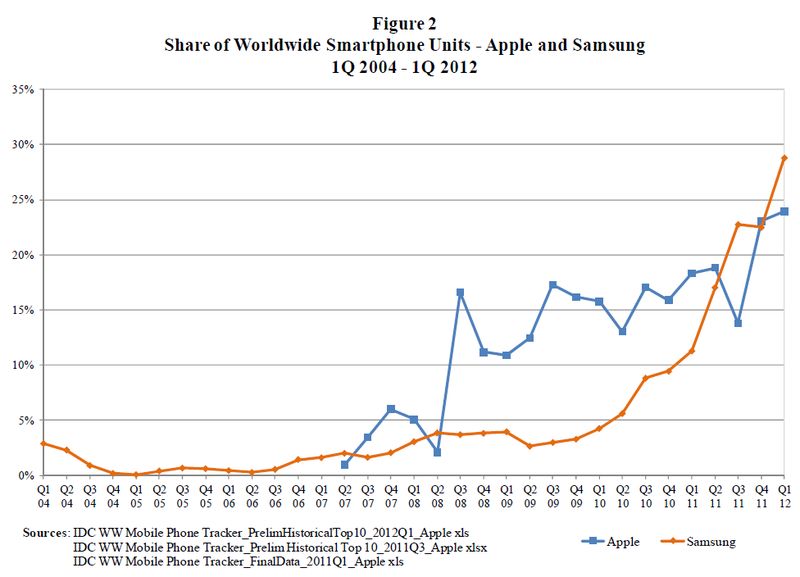 I understand that Apple also pointed to Samsung's gains of market share at Apple's expense in its opening presentation today at the California trial. 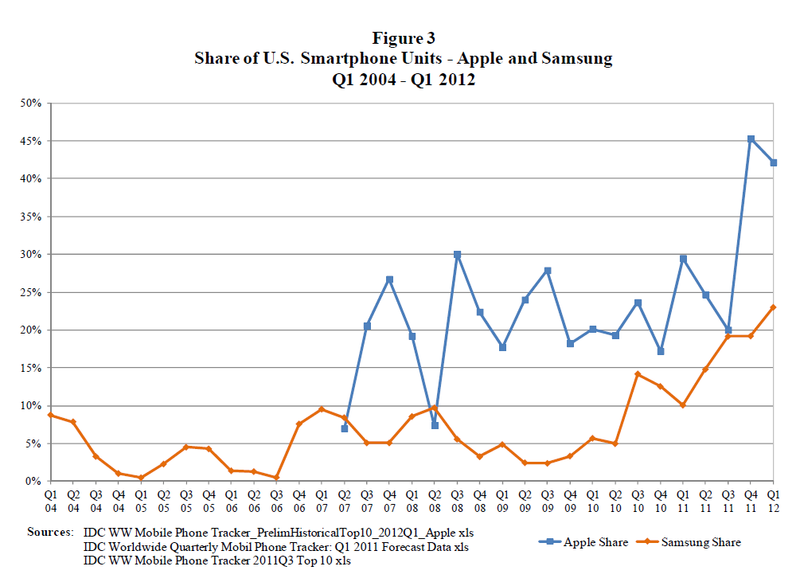 The Apple v. Android dispute in general and the Apple v. Samsung spat in particular aren't an emotional thing, nor is this about an attempt to become a monopolist. 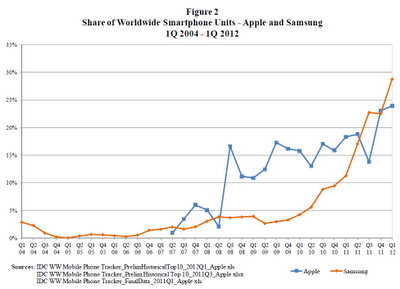 The numbers show that Apple has no other choice but to defend its intellectual property.